March 26 - 27 Blowing Rock NC offers the last skiing in NC for the 2010-2011 Season, the Meltdown Games at Appalachian Ski Mountain. Enjoy Appalachian’s classic end of the winter celebration with a full weekend of crazy events you won’t see any other time of the year, with lots of snow, sun, and skin. Sugar Mountain Ski Season 2010-11 ends tomorrow at 4:40. Whoopdedoo, Switchback, Upper & Lower Flying Mile and Big Birch are still deeply snow packed. At 4:30 enjoy Sugar's annual season ending celebration - snow burning and hot dogs! March 26 - 27 head for Blowing Rock NC and the Meltdown Games at Appalachian Ski Mountain. Come enjoy Appalachian’s classic end of the winter celebration on Saturday, March 26 & Sunday, March 27. A full weekend of crazy events you won’t see any other time of the year, with lots of snow, sun, and skin? Ladies Park Night at Appalachian Ski Mountain a terrain park area with features specifically designed for learning and progression that will be open to ladies only. Women of all ages and abilities, both ski and snowboard, are invited to get together and ride in a laid-back environment among friends. Blowing Rock NC. Ski Beech closes on a happy note with games and entertainment in celebration of another amazing season. Beech Mountain continues to offers a winter wonderland of fun and activities for all. At the recreation park above the waters of Buckeye Lake, take the family for a hike along Beech Mountain's 18 mile system of maintained trails that wind across the mountain and watch the abundant wildlife that enjoys their natural home. Beech Mountain Ski Resort goes out with a "Bang" this weekend. The 2010-2011 Ski Season at Beech Mountain ends on its 100th day, Sunday March 13 2011 with the hosting of games and entertainment to celebrate a great season! Music from The Harris Brothers, Food, and other Activities for all ages will run throughout the day! Sugar Mountain Resort expects snow accumulations of up to 4 inches this afternoon and into the evening. Off and on rain should exit this afternoon. Slopes are still holding up very well. A fantastic four day Spring skiing weekend is on the horizon. Take advantage of late season winter value packages. March 7 Beech Mountain rates dropped to $20 for day or twilight tickets and $10 for half day or night tickets. Beech Mountain is still open and has FRESH SNOW. The Resort will host games and entertainment to celebrate our 100th and final day of operation, for the 2010-2011 season on March 13. March 13 Recess Wreck Less Rail Jam at Appalachian Ski Mountain. Intermediate to Advanced Contest, consisting of sick rails and a tight style rhythm section. All ages and ladies are encouraged to come out, but it will be a more intermediate to advanced course. Current snow conditions: With a low of 21 degrees overnight on March 6, the snowmaking crew at Appalachian Ski Mountain. was able to make a substantial amount of dry, skiing quality snow over the entire mountain. Appalachian Ski Mountain is located at 940 Ski Mountain Rd in Blowing Rock NC. March 7 Sugar Mountain Resort begins March Madness which runs through the end of the season. Sugar offers up to 25% savings on lift tickets, rental equipment, and lessons. Some restrictions apply. Alpine Ski Center offers free "Tune-up"
Alpine Ski Center has issued a reminder that if you've purchased a ski or snowboard within the last 3 years, you're eligible for a free tune-up! Tuned and waxed skis and snowboards turn easier and run smoother allowing you to ski or ride with less effort while maintaining better balance and control. This Annual Tune-up includes, base grind, flat file, edge beveling, edge sharpening and hot wax. This service is available anytime between Mar 1st and Nov 15th each year. (a $39 value!) A visual binding inspection is included in the Free Annual Tune-up for ski and snowboard bindings. We'll look them over and make sure all the screws are tight and that there is no visual damage to AFD's, straps, etc. 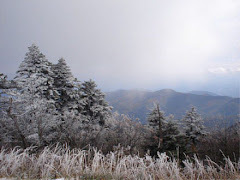 Cataloochee Ski Area has announced that this Sunday will be the last day of operation for the 2010-11 season. The year opened with a bang on November 6, exactly four months before the March 7 closing. With 100 days of great skiing and riding, Cataloochee thanks everyone who has spent time at the ski area this year and looks forward to seeing everyone again next year at the home of Great Skiing in the Great Smokies! March 6 Maggie Valley's Cataloochee Ski Area offers The BIGBIGBIG One Day Season Pass Sale. All season passes will be on sale for the lowest price of this year and next for this one day only! Ski for the rest of the season and next on the pass you purchase today! Pass sale will be from 8:30am – 4:30pm only and you can purchase in person, over the phone with a credit card or online! Get move information about skiing North Carolina here. March 4 is Fresh Friday 4 at Appalachian Ski Mountain in Blowing Rock NC. Fresh Fridays, as always, will sport a low-key, relaxed jam session format, where riders can hit the new setup as many times as they want, in any order they want, just like a normal day of riding with friends.